Ripe Dates Fruit With Peacock Feathers On White Background. Lizenzfreie Fotos, Bilder Und Stock Fotografie. Image 106147770. Standard-Bild - Ripe Dates Fruit with Peacock Feathers on White Background. 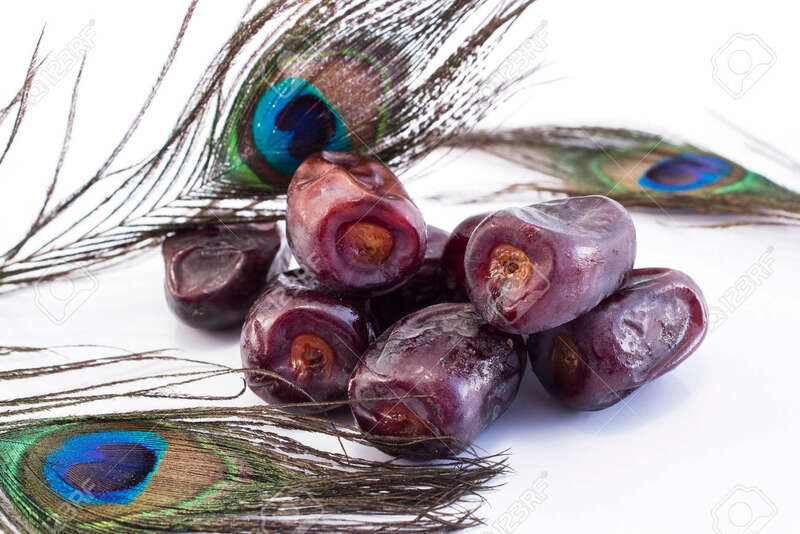 Ripe Dates Fruit with Peacock Feathers on White Background.